The Dalmar Eventer Front Boot is an ultra lightweight boot that supports the leg and offers strike protection to the tendons. Dalmar Eventer Front Boots have a patented cooling system that utilises the high speed air hitting the front of the leg to pass through the boot and therefore cool the horses tendons as it gallops. Other horse boots tend to insulate the leg and stop heat moving away. 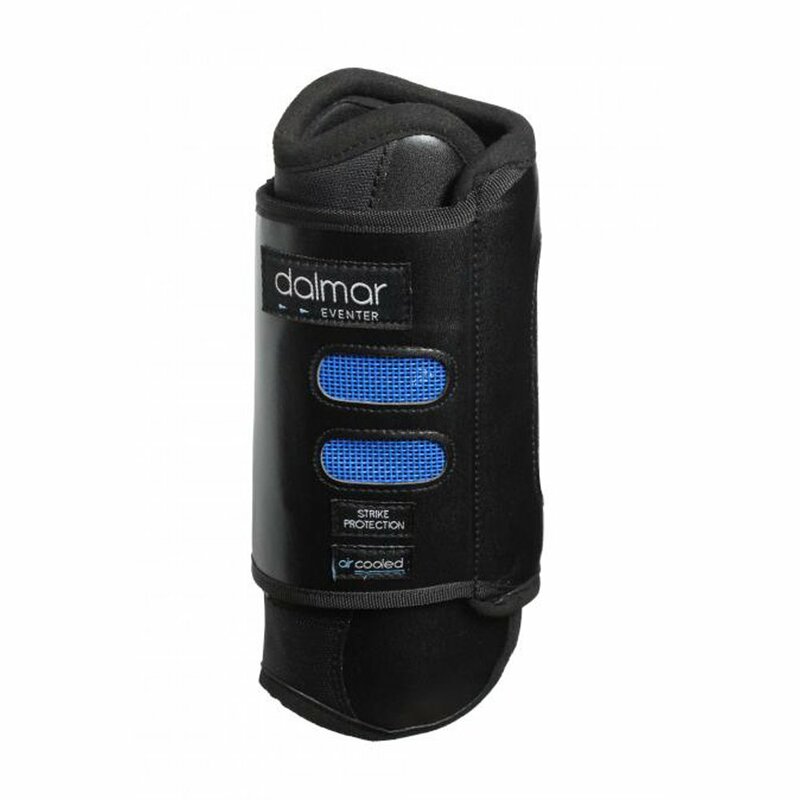 These Dalmar Eventer Boots also feature strike protection through a carbon fibre panel that distributes the impact across the entire boot, therefore deflecting the strike impact away from the flexor tendons and suspensory ligaments. These Dalmar boots are easy to take on and off with a wide velcro wrap fastener and are very durable. These eventer boots are ideal for fast sports, including eventing, where the possibility of accidental strikes to the leg is present. Dalmar Eventer Back Boots also available.